Molybdenum annealed cold-rolled flat products provide the ideal conditions. 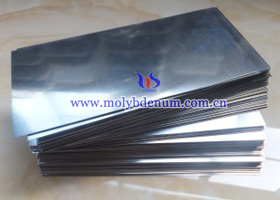 The surface of the molybdenum plate can be divided into shiny, dull, or cold-rolled, according to the parameters of the plate thickness and widt. Mirror molybdenum plate is one of the molybdenum plates. Mirror molybdenum plate is a kind of heating material, our company supplies various types of this sheet according to the special needs of the dimensions or drawings.